The Holly and Ivy Party Dress Sew-along starts tomorrow!! We want to include all those adorable babies this year. So today we are offering our free baby dress pattern, the Holly and Ivy Party Dress in infant sizes 0-3 months. If you haven't grabbed the 6 month to 12 year pattern yet, you can get it in our GYCT Designs Shop. 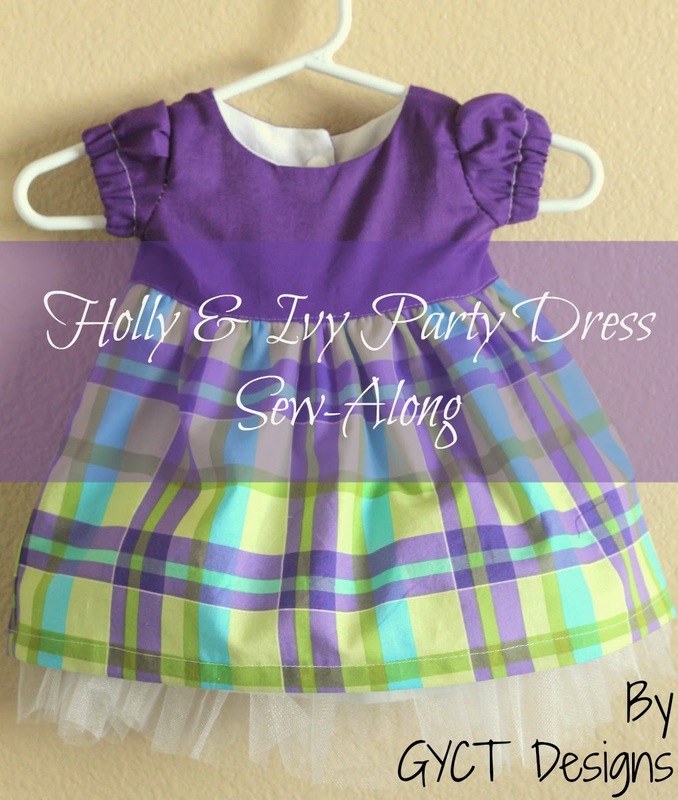 Holly and Ivy Party Dress is the perfect party or holiday dress for you little darling. This simple but elegant dress pattern is perfect for your sweet baby. Includes round neckline, directions on adding an overskirt, removable sash. No zipper, just buttons or snap closures for easy on and off. A great pattern for adventurous beginner. Includes step-by-step instructions, full color photos, and full size pattern pieces.